In any case (event) (Short video) - Learning English is AS EASY AS PIE with Phrases, Idioms, Expressions. 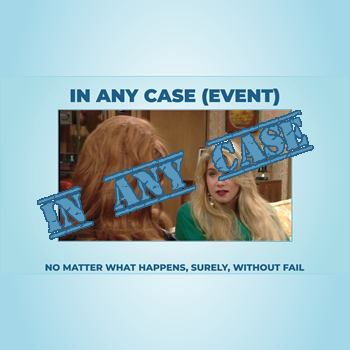 The phrase of the day is: "In any case (event)"
Regardless of what happens or what the circumstances are. Used to say that although some facts in a situation may change, one thing does not change.